Who Does the Chase Sapphire Reserve Appeal to Most? Decision Time: Is the Chase Sapphire Reserve Right for You? People who travel all the time can really benefit from having the right credit card in their wallets. If you have a good travel rewards credit card that you can use, then you can earn many lucrative rewards points. There are several types of travel rewards credit cards on the market and many of them are quite appealing. It can be somewhat difficult to figure out which one is going to fit your needs the best, though. The Chase Sapphire Reserve Card has been making some waves in the travel community lately. This credit card offers cardholders ample rewards opportunities and many great perks. It comes with a bit of a high annual fee, but it is still seen as a very worthwhile option. If you have been looking for a new travel rewards credit card, then this may be one of the best fits for those who travel a lot. Join us today as we give the Chase Sapphire Reserve Card a thorough review. This review is going to touch on all of the important questions that you need to know before signing up. You can look at the prices, fees, benefits, and the rewards program ahead of time. Getting the right information makes it that much simpler to make the right decision for yourself, so read on as we dig into the details. The first thing to recognize about this credit card is that it comes with a $450.00 annual fee. This is obviously quite high, but that should not scare you away right off of the bat. If you use this credit card often enough, then the rewards that you earn can really negate the fee. 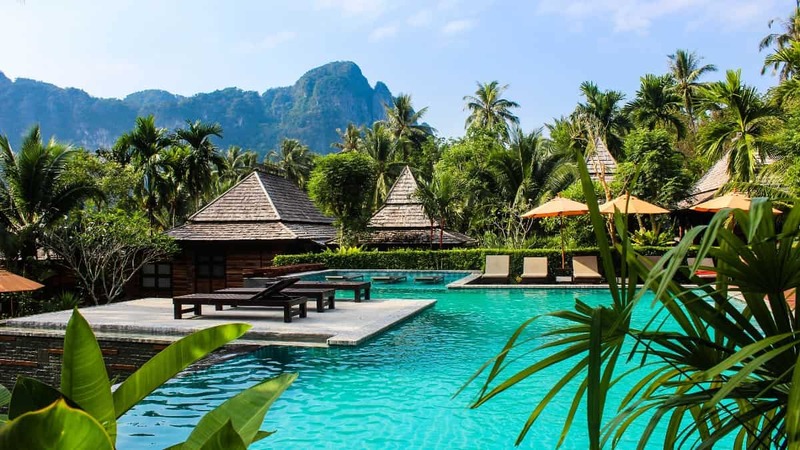 Those who travel multiple times per month are going to earn rewards that will make this fee completely irrelevant, so try to keep an open mind about this credit card. You will also have to deal with balance transfer fees that are slightly higher than many other travel rewards cards. The balance transfer fee is set at 5% with a minimum fee of $5.00. This is not absolutely terrible in the grand scheme of things, but it may not be best to use your credit card in this way. The APR is not low enough to make this a good balance transfer credit card and there is no special introductory APR offer to take advantage of. Cash advance fees are also quite high when you use this card. The fee on cash advances is going to be either 5% of the transaction amount or $10.00, whichever is greater. You will likely not be using this card to get cash advances unless there is some type of an odd emergency situation, but you still need to know about it. These fees will be irrelevant to most people who use this credit card in the intended ways, so just keep these fees in the back of your mind in case it will wind up being a deciding factor for you. On a positive note, this credit card does not have any foreign transaction fees to worry about. Whenever you can avoid foreign transaction fees, it is going to be a positive thing. It makes it a lot simpler when you travel outside of the country on vacation. You can use this card if you need to do so and will not be forced to pay any high fees just for doing so. This credit card offers cardholders many great benefits and features that will make things worth your while. One of the best ways to negate that high annual fee is to qualify for the sign-up bonus that this card offers. It has a standard bonus where you need to spend a certain amount of money in the first three months to qualify for rewards points. The bonus is pretty large though and the amount of money that you have to spend is reasonable. If you are able to get the bonus, then it will make that annual fee seem like nothing. There are also a number of beneficial perks that you can enjoy for being a cardholder. One of the most popular perks is the annual travel credit. 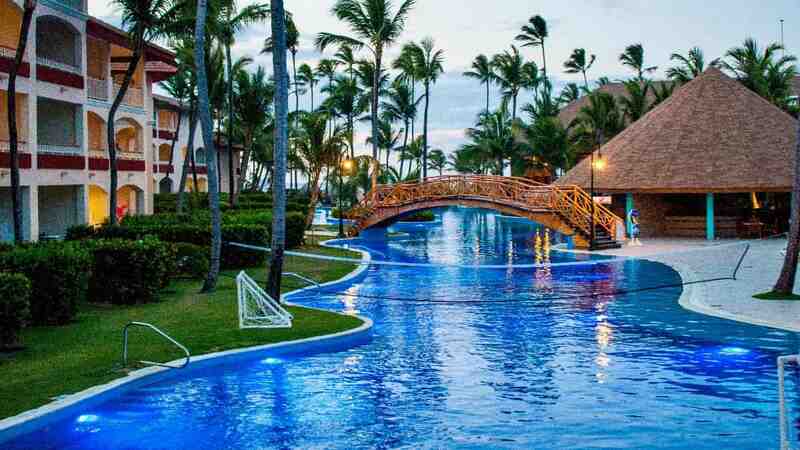 You will be able to receive $300.00 in annual travel credits that can be used toward any purchases that you can define as being in the travel category. This counts for a number of different categories including airline purchases, hotels, car rentals, cruises, travel agencies, taxis, buses, and much more. Needless to say, it will be very easy to make use of this handy travel credit every single year. One of the premium perks that regular travelers will use all of the time is the premium lounge access. You will have access to a Priority Pass Select membership just for being a cardholder. This is going to grant you access to more than 1,200 airport lounges around the world. You can also add another user onto this account for only $75.00, allowing your traveling companion to enjoy the same great perks that you are. You can also expect to receive an application fee credit when you apply for the GlobalEntry and TSA PreCheck programs. These programs make it a lot faster to travel and it is very beneficial to become a member of the program. It is not free to apply, but you can receive a statement credit for the application fee as a perk for being a cardholder. This is a perk that is available to cardholders once every four years and you can use your credit to help cover a friend or family member’s application fee if you are already enrolled. 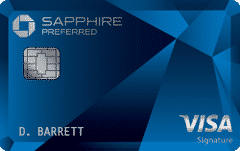 The Chase Sapphire Reserve Card is also one of the Visa Infinite credit cards. This means that you get access to some specific perks that are associated with these cards. This includes many fantastic things such as primary rental car insurance. There are many credit cards that offer rental car insurance, but most coverage plans are secondary insurance options. This is a primary insurance coverage option for rental vehicles, making it that much more convenient for you when you need to rent a car. Other perks include trip cancellation or delay coverage, lost luggage insurance, and a robust concierge service. Being able to gain access to all of these tremendous perks really makes being a cardholder a worthwhile experience for just about anyone. If you travel often enough, then this is going to significantly improve your overall experience. You can expect to enjoy great treatment while traveling and will receive ample help if anything ever goes awry on your trip. The rewards program for this credit card is very good overall. It offers you the ability to earn 3X points per $1.00 spent on all travel and dining purchases. You will also be able to earn 1X rewards points on any other purchases that you make with the card. The purchases that count as travel and dining expenses are very generous too, so you will be able to earn the 3X rewards rate on many of your expenses. Things, such as ride-sharing services, will count as travel purchases, making it easy to rack up those points for common purchases while you’re visiting a new city. You can also receive the 3X points in the dining category for ordering food from a delivery service. Having a wide variety of options for your bonus categories is very nice and it will make it simple to use this credit card to its full potential. The redemption options for this credit card are also very robust. 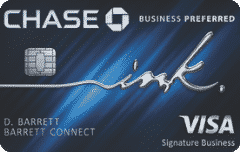 Chase is well known for their Ultimate Rewards program and this is a credit card that will give you great flexibility. 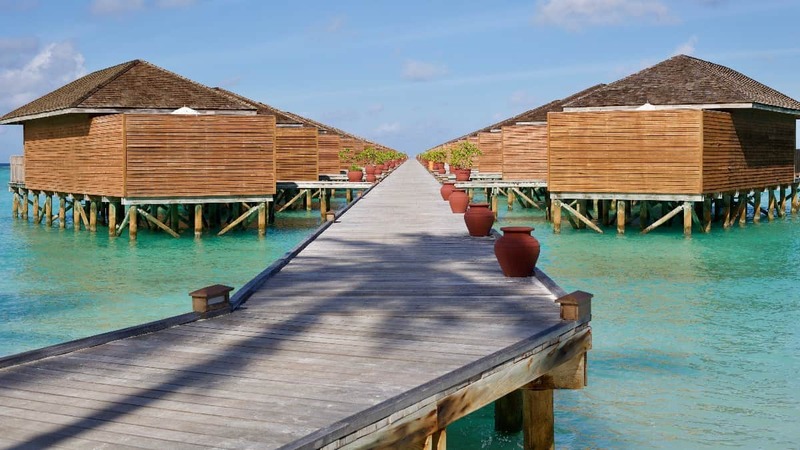 If you wish to get creative with how you redeem your points to maximize the value of your earned rewards, then the Chase Ultimate Rewards portal gives you many great options. It is also possible to transfer your earned rewards points over to various travel partner businesses. Transferring your points to one of the Chase partner businesses is very intuitive and it allows you to make great use of your earned rewards. For example, you can transfer the points to various airlines to pay for travel expenses. These rewards points will be able to help you pay for airfare, hotel expenses, and so much more. It is certainly one of the more customer-friendly rewards programs on the market, making it very easy to recommend it. Of course, this credit card has an absolutely great rewards program. Anyone who wants to earn ample amounts of rewards will love having this card in their wallet. You can earn 3x points per $1.00 spent on travel and dining purchases. Chase is very generous about what counts as travel and dining expenses too, so you will be earning the 3X rewards rate quite often when using this card. The easy and flexible redemption options are also a big reason to sign up for the card. You will be able to make use of the Chase Ultimate Rewards portal to truly maximize the value of your earned rewards points. Chase also has many partner businesses that you can transfer your earned points to. This makes it simple to use your rewards points to pay for travel expenses and many other things as well. You can also enjoy a very large sign-up bonus if you make sure to qualify for it. It will require that you spend a certain amount of money within the first three months. Meeting the spending requirement should not prove difficult for anyone who travels frequently enough. This large bonus will give you many rewards points to use, making it even easier to justify that high annual fee. Great benefits help the Chase Sapphire Reserve Card to stand out from the competition. This card gives you access to over 1,200 airport lounges around the world. You will receive $300.00 in travel credits each year to help alleviate some of your expenses too. When you combine these perks with standard ones, such as luggage insurance, it becomes even easier to see how customer-friendly this card really is. It is also important to remember that this credit card does not have any foreign transaction fees. This card will be useful for you when you are traveling abroad as well. Many cards have high foreign transaction fees, but that is not the case here. You can use your credit card while outside of the country without any hesitation. One of the only negative things that people could say about this credit card is that it has a high annual fee. The annual fee of $450.00 is a lot higher than many other travel credit cards on the market. Even so, the rewards potential of this card is so high that it really makes the annual fee a moot point. Cardholders also receive a $300.00 annual travel credit which goes a long way toward negating the annual fee. You should also know that this card is going to require an excellent credit score. This may wind up being somewhat of a problem for some people. Even those with very good scores may wind up being turned down. If you are not able to meet the requirements, then this card may not be a possibility for you. 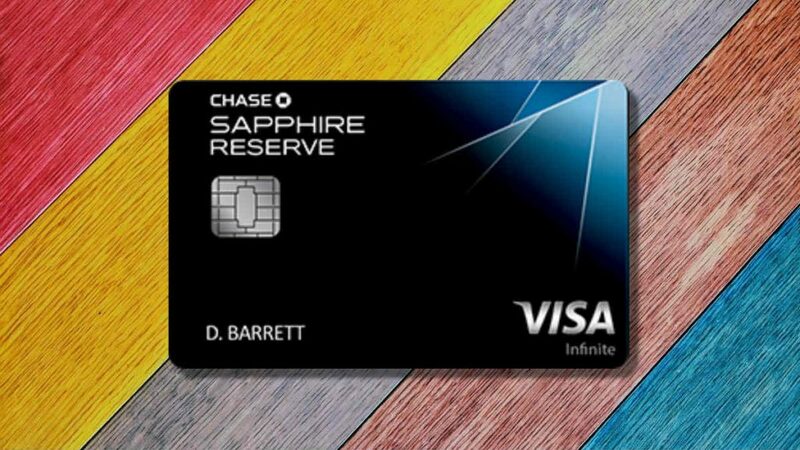 To be approved for the Chase Sapphire Reserve Card, you will need an excellent credit score. The recommended credit score for this card is 720 or higher. This is a very high score and it may put this credit card slightly out of reach for many people. It is imperative that you check your credit score before applying to avoid any potential disappointment. If your score is too low, then you may wish to make an effort to raise it slightly before returning to the idea of signing up for this card. This credit card is going to appeal to several different types of people. It will appeal to professionals who travel regularly and want to earn rewards for their travel and dining expenses. If you spend a lot of money on airfare, hotels, and car rentals, then this card will start to pay off fast. The perks of being a cardholder will also simply make your travel experience a lot better overall. It is also a credit card that appeals to those who travel semi-regularly. It has high enough rewards potential that this card can be a benefit to people who only travel for fun. The bonus categories are generous and you can earn 3X points on ridesharing and food delivery services. This is going to be a very practical credit card for a number of different people. One potential alternative to this credit card is the Capital One Venture Rewards Card. It is also a very good travel credit card and it might be even easier to manage in some ways. It gives you a flat rewards rate on all of your purchases. Being able to earn 2X points per $1.00 spent on any purchase is really good overall. For some people, this may work out better than the Chase Sapphire Reserve Card. See our full review of the Capital One Venture card. If you travel often enough, then the Chase Sapphire Reserve Card might be the better option. For those who do not spend money on dining and travel too often, the Capital One Venture Rewards Card will pull ahead. It depends on your spending habits and what you expect out of a credit card. The annual fee of the Capital One Venture Rewards Card is lower too, as it only costs $95.00 per year with the first year being waived. The Chase Sapphire Reserve Card is a truly phenomenal option for anyone who can use the card to its full potential. This card really helps people to earn rewards points at a high rate. The ability to earn 3X points per $1.00 spent on travel and dining is stellar. If you travel a lot, then you will really be able to alleviate a lot of your expenses through earning rewards. You will also benefit from having this card just because of how nice the perks are. 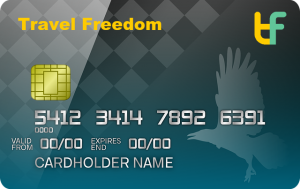 It is a credit card that makes it that much more comfortable for you to travel. Gaining access to various airport lounges around the world and being able to use a dedicated concierge service will be great. Other perks such as the $300.00 annual travel credit will be very practical and help to trivialize the annual fee. So long as you use this card in the right bonus categories, you will be able to come out ahead. Don’t hesitate to sign up for this credit card if you think that you can use it frequently enough. It will give you a great travel experience and will be a constant source of rewards points. It earns a recommendation due to being easy to use and the high rewards potential that it possesses.